It’s a wild, wild world, eh? 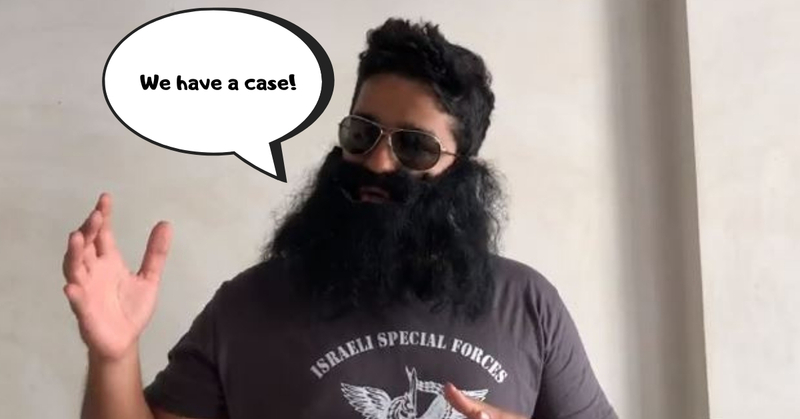 One of the most absurd news that made headlines pretty recently was about this man from New Delhi who is about to sue his parents in court for giving birth to him without consent. In his YouTube video, Raphael Samuel who appears to be wearing a fake beard and sunglasses, explained that he wants others to realize that “they are born without their consent”. “They are individuals, not your investments,” Samuel said. Hear it for yourself from his video here. As weird as it may sound, it is no denying that this guy over here have some pretty solid arguments. But at the end of the day, it’s a chicken and egg situation. What do you guys think? Does he stand a chance to win this case at court? Either way, this definitely spark some fruit for thought of the day and will continue to be a topic of discussion for generations to come. Can we deny our responsibility towards our parents because we were brought to this world against our will?